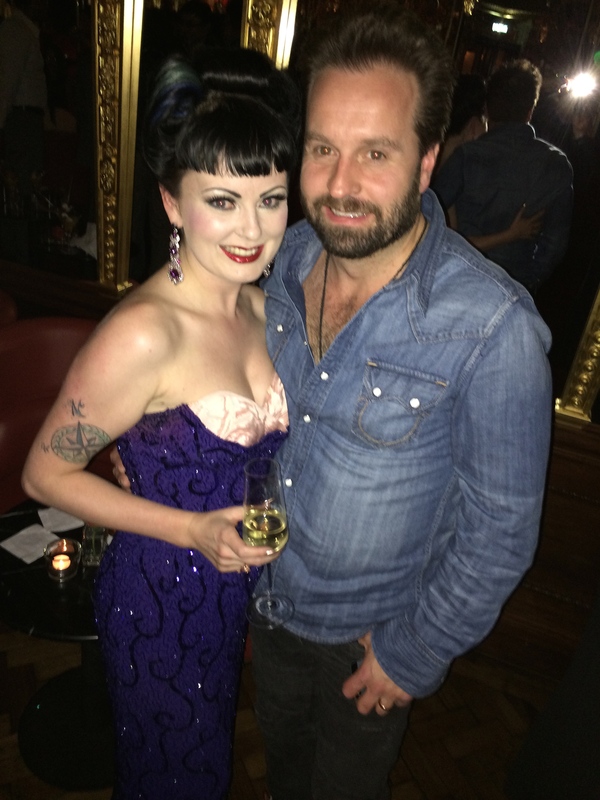 There is a huge trend in London at the moment for what has been termed ‘luxury cabaret’. 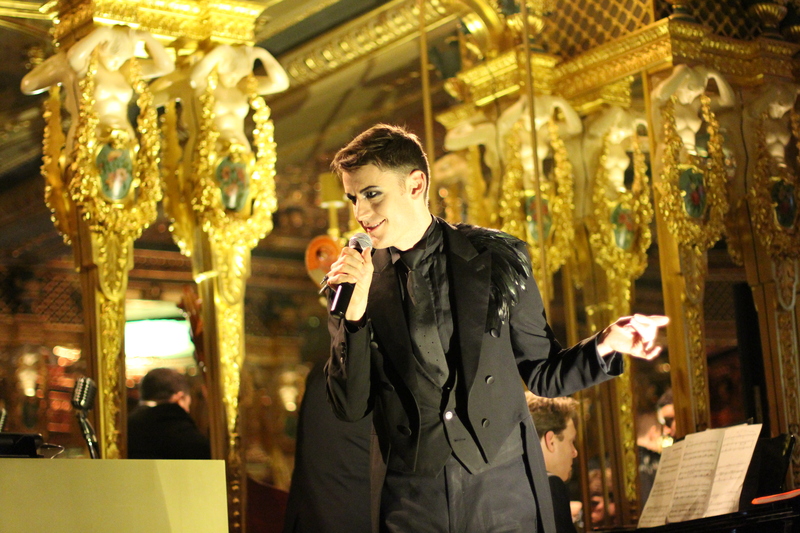 Many of London’s finest hotels boast their own resident cabaret show, including The Savoy and The Cafe Royal Hotel. 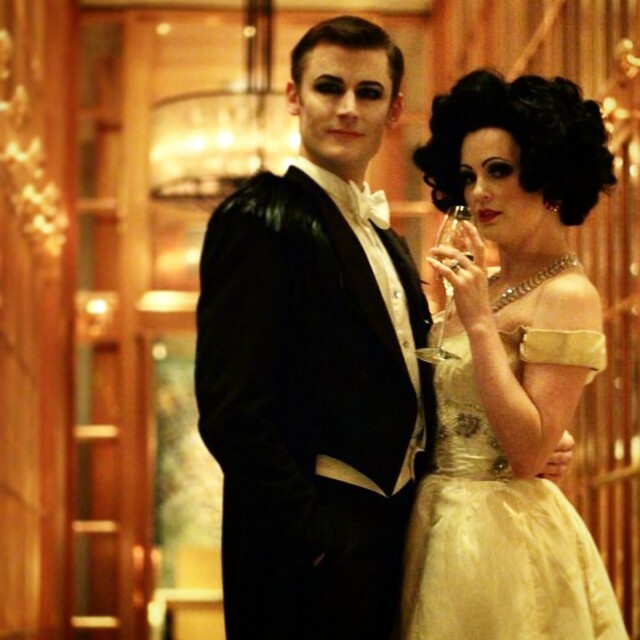 Now one of London’s most glittering five star hotels has tossed its gilded cap into the ring with ‘Cabaret at Scarfe’s’ which is just starting the second month of its residency under the expert hand of one of London’s finest cabaret singers, and someone of whom I am immensely fond, Mr Dusty Limits. The venue is akin to something you may find in one of the stately homes of England, a drawing room from an earlier time. Glitteringly dark, bedecked with velvet and displays of glass-domed butteflies. The fire flickers welcomingly, drawing you in with its soporific glow, inviting you to fill your glass and relax into the bosom of friends. Dusty’s aim was always to create something that felt like the post-supper gathering at a country house weekend. Not a show but a party, a collection of friends. 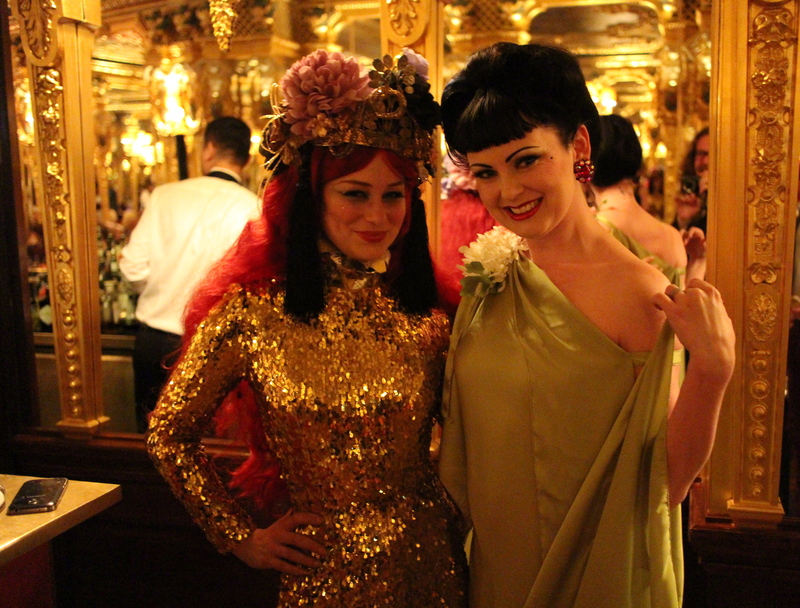 With that in mind, the cast mingles freely before the show, sharing drinks with guests and creating an atmosphere of louche decadence. When Dusty takes to the floor to start the evening’s entertainment, the crowd is already warm and welcoming which makes it very easy to slip into the show. Curated by Dusty, the performers are plucked from London’s finest; Vicky Butterfly bedecked in downy white feathers, the delicious musculature of Sammy Dinneen, the velvety honey drenched voice of Coco Malone and I; I sing a bit. 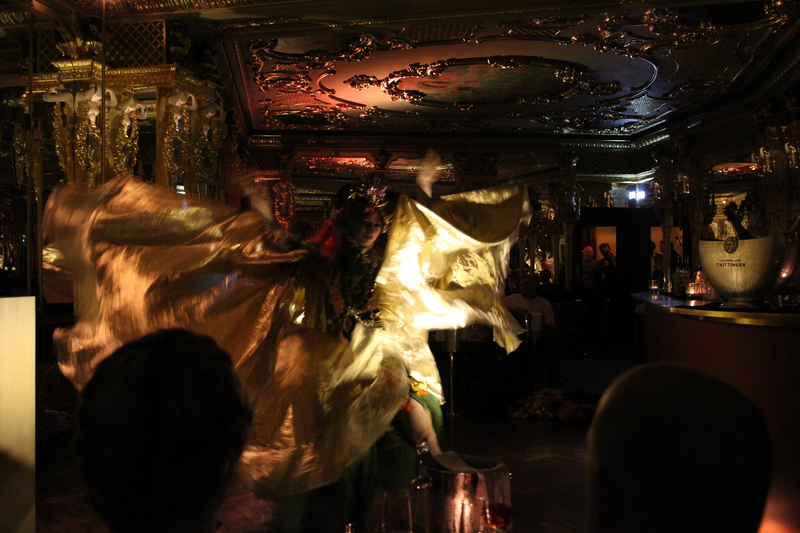 In a space not naturally designed for performance, the show emerges from different parts of the room, Sammy upended on a table, me seated on the bar amid glasses and bottles and Vicky Butterfly stalking the aisles in her glowing cloak. I hope that the audience feel included and enveloped by the proximity of the performers. It is quite an astounding thing to have a semi-naked hand balancer mere inches from your face, his toes threatening to dip into your champagne. As any good party should, the night gradually grows in debauchery and crapulence, with the hosts ending up close to the floor, or on it, indeed whilst the strains of the the Lorde song ‘Royals’ are played by the incredible musicians, Michael Roulston, Jonathon Kitching and Tom Mansi. 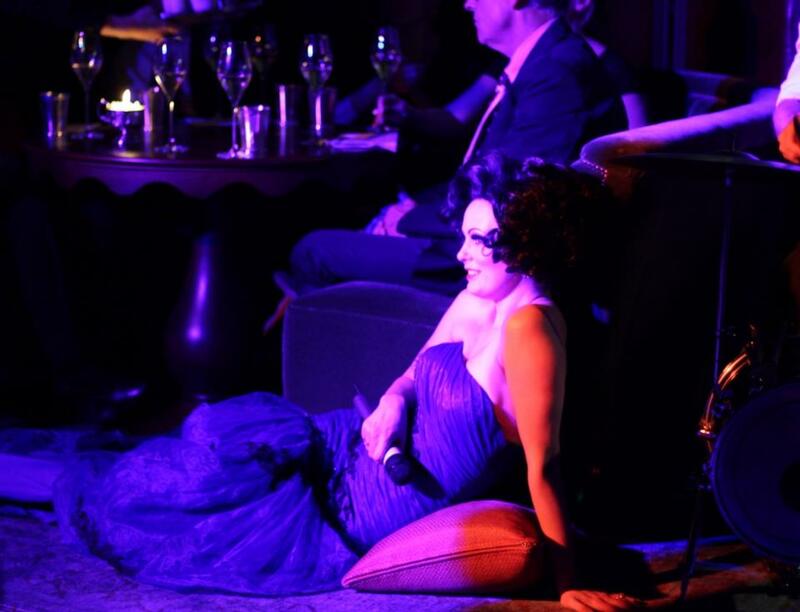 More recently, I have found that there has been a glorious return to live music in cabaret shows and that is a delightful thing. A backing track can never replace the comradery of having real live people playing real live instruments playing music with you. It would be a wonderful thing if we were to see a complete absence of shows with track, although I realise that this is utter pie in the sky. The show ends and dancers, beautifully attired in vintage clothing, take to the floor as the band play Irving Berlin. The crowd watches enraptured and transported to another time and place, a place of decadence and debauchery, where echoes of those Bright Young Things resonate still. Join me at Scarfe’s Bar next Sunday for the next one of these amazing evenings, meet me by the fire, bring champagne. Now I know I have written about the Black Cat Cabaret before, but there has been an evolution for this kitten. 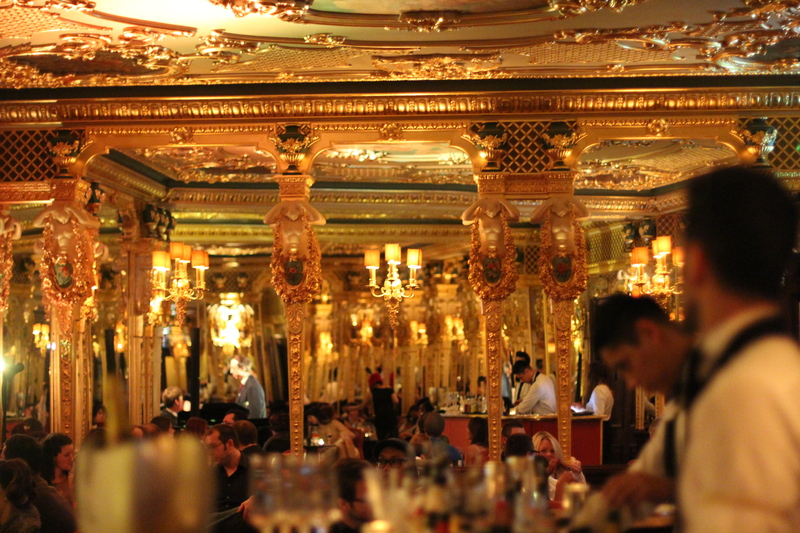 After slipping away from the gaudy Cafe de Paris last year, the Black Cat has been rehomed by the gorgeous Cafe Royal Hotel, in the historic Oscar Wilde Bar (formally the Grill Room). 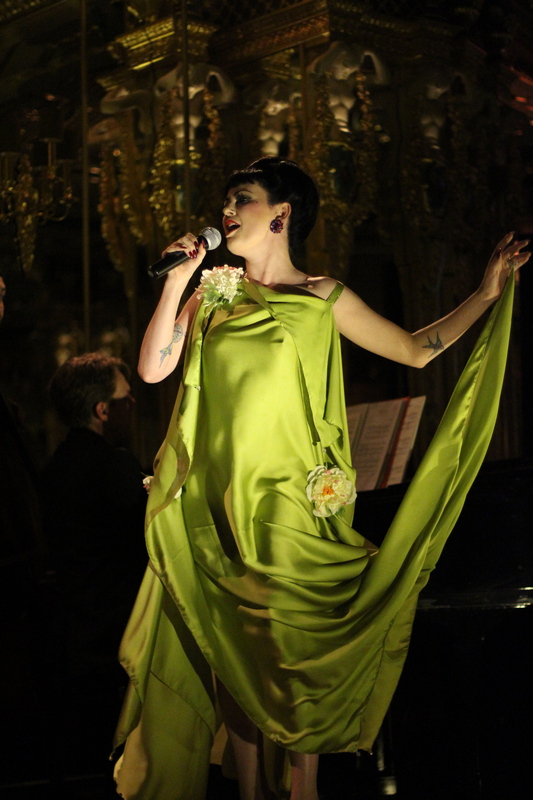 The room is an extravaganza of gold leaf and mirrors with a baby grand piano in its centre and it is there where we set our stage. As a singer, it is always a treat to be given the chance to interpret lesser known gems and as a regular attendee of the ‘Salon’ I get the chance to sing songs that would normally see the light of stage in a more conventional recital, as well as interpretations of other favourite songs of mine that I have hoarded in my collection. 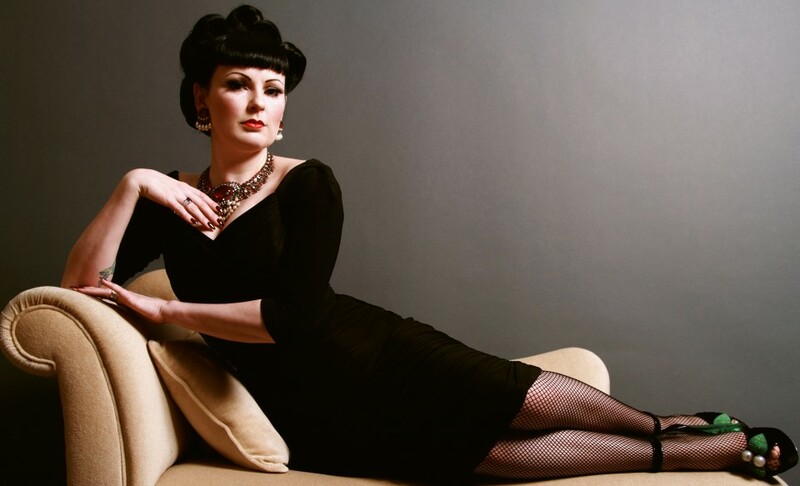 In many cabaret clubs we all slip into our comfortable staples, (normally those songs for which we can find the backing tracks) but the joy and delight of the ‘Salon des Artistes’ is the addition of the musicians; and what musicians they are! We are regularly graced by Michael Roulston, Nicola Enigma, Duncan Walsh Atkins and fabulous bass players like Tom Mansi. They enable us singers to perform music which is not normally found loitering around in other cabaret haunts. If you haven’t yet had the chance to come along to the ‘Salon des Artistes’, I suggest you unleash your inner artist, dress elegantly, slip through our door and wallow in the champagne-soaked decadence of our stunning home. 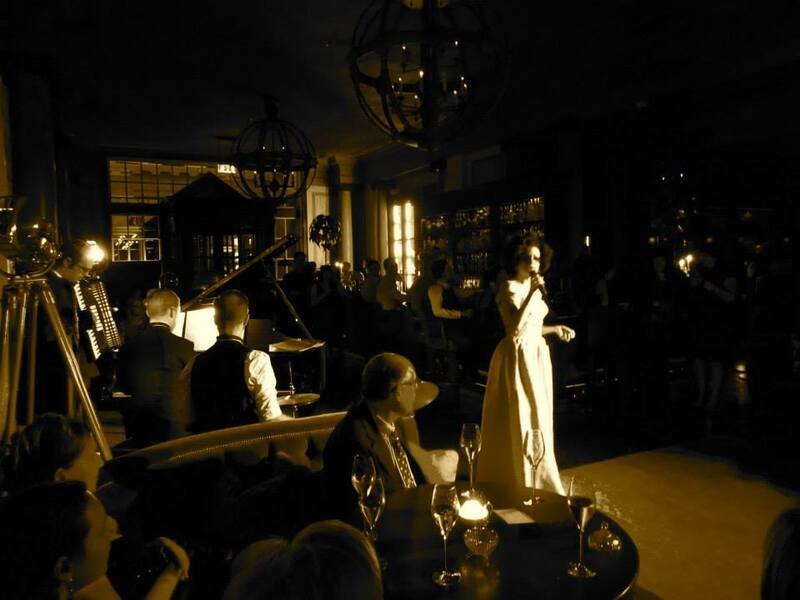 It is a privilege to perform in such splendour and you’ll feel equally as astounded as the performers envelope you in their demi-monde of Parisian chic right in the heart of Piccadilly. I thought I’d leave you with a scattering of my favourite pictures taken by Clive Holland, one of modern cabaret’s greatest supporters. And once you have finished gazing in wonder at the pictures, maybe you should stop by here and buy a ticket, go on, we’d love to see you.